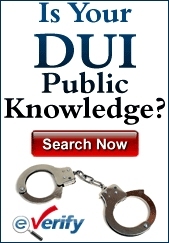 When a driver is arrested for driving while intoxicated in New Jersey, the main foundation of the arrest is usually the DWI tests that are conducted. From the time the law enforcement officer makes the DWI stop all the way through the trial, the entire case hinges on the evidence that comes from the DWI testing such as the field sobriety tests, the breath test and possibly blood tests. The defendant and the defense attorney need to know how to spot when a DWI test might have been conducted unfairly or given an inaccurate result for a variety of reasons. A law enforcement officer must have a viable reason for making a traffic stop to investigate a DWI. This can be a traffic violation, a problem with the vehicle like an expired tag or a broken taillight, or a witness alerting police that there might be a drunk driver on the road. When the traffic stop is made, the officer will speak to the driver and look for signals that alcohol might be a factor in the way the driver is operating the vehicle. These can include slurring words, having bloodshot eyes and smelling of alcohol. Next, the field sobriety tests will be given. There are three field sobriety tests that are most commonly used and viewed as accurate in determining whether or not a driver is showing signs of intoxication. They are the Walk and Turn test, the Horizontal Gaze Nystagmus Test and the One-Leg Stand test. If the driver performs poorly on these tests, the breath test will be given. A breath test is used to see how much alcohol is in the driver’s blood. The blood alcohol content will be a determinative factor as to whether or not the driver will be arrested and the level of charges he or she will face. If a driver over the age of 21 registers a BAC of 0.08% or higher, there will be an arrest for DWI. If the driver is under 21, the BAC must be 0.01%. If it is a commercial driver, the BAC must be 0.04%. The breathalyzer tests have a certain protocol that the officer must follow and if these rules are not adhered to, the results could be deemed inadmissible no matter what the BAC is. A driver who registers a BAC of 0.08% and below 0.10% and is arrested on a first offense DWI will face numerous penalties for the traffic offense. There will be a driver’s license suspension of three months. There will be a fine of between $250 and $400. A surcharge of $1,000 per year for three years will be assessed. The Intoxicated Driver Resource Center (IDRC) will receive $230. $100 each will go to the Alcohol Education and Rehabilitation Fund (AERF) and the drunk driving fund. $75 will be paid to the Neighborhood Services Fund. There can be up to 30 days in jail. With higher BAC levels and multiple DWI convictions, the penalties are much worse. With field sobriety tests and breath tests, there are mitigating factors that could lead to their results being ruled inadmissible. With field sobriety tests, it is key that they are given fairly and the driver is physically able to complete them independent of whether or not alcohol was involved. With the Walk and Turn test, the driver will be asked to stand with feet together and walk in a heel-to-toe fashion to another designated spot, turn around and walk back. The One-Leg Stand test requires the driver to stand with one foot raised and the arms out to the side. Both of these tests could be compromised if the ground is uneven, if there are rocks or hole where they’re given. For the Horizontal Gaze Nystagmus, the officer will hold an object – usually a pen or small flashlight – in front of the subject’s eyes and move it back and forth in their line of vision watching the eyeballs to see if there is involuntary jerking that is considered consistent with alcohol use. However, it is possible that there was a medical condition that led to the jerking of the eye. The driver’s physical condition is also important to consider with these tests. If there are injuries or physical problems that prevent the tests from being completed as required, proof of that can go a long way in helping the defense’s case. For a breath test, there are many rules that must be adhered to and if there is an inaccuracy, there might be basis for a reduction of the charges or outright dismissal. If the driver was not observed by the officer for 20 uninterrupted minutes, there is the possibility that the driver might have done something to compromise the test’s accuracy. Smoking a cigarette, regurgitating or chewing gum are just three of the things that a driver can do to make the test inaccurate. If the officer doesn’t follow the proper protocol, then the test is not guaranteed to yield a fair result. The officer must also be certified to give the test and the machine must be properly calibrated. A machine that is not properly calibrated might not give an accurate BAC. 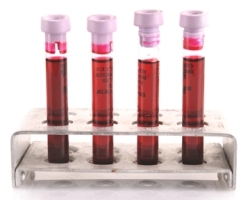 Toxicology blood tests are given if there is an accident or the officer suspects the driver might have been using drugs. With the blood tests, the accuracy could be hindered by the physical fact that the level of alcohol in a person’s blood will rise from the time they had their last drink. Therefore, the test might show a higher result than it would have if it was given earlier. A good defense attorney will know to sift through the evidence and try to find areas in which a DWI testing mistake was made and use that to help the client have the charges reduced, dismissed or to win an acquittal at trial. Since the evidence is largely based on these tests, an inaccurate result provides a good chance for a positive result for the defendant.